Orville Wright is a professional trainer that has been a firearms enthusiast for over 30 years. He is an avid Trap Shooter and a Cowboy Action Shooter that goes by the SASS Alias of HOGS BREATH. Orville is also a Business Broker and the Founder of the Global Business Brokers Institute, which trains Business Brokers throughout the USA and Canada. Orville is approved to conduct California CCW Permit Instruction courses by the Orange County Sheriff’s Department, the Ventura County Sheriff’s Department, the Fresno County Sheriff’s Department, and the Madera County Sheriff’s Department. Orville is a Concealed Firearms Certified Instructor, certified by the Utah Bureau of Criminal Identification. He provides instruction to certify gun owners in California to obtain the Utah Non-Resident CCW Permit. He also provides instruction to certify California gun owners to obtain the Arizona Non-Resident CCW Permit and the Florida Non-Resident CCW Permit. The Utah, Arizona and Florida CCW Permits are Multi-State Permits and Orville makes sure he presents up to date information on constantly changing regulations. Orville has been a member of the NRA for over 30 years. He is an NRA Certified Pistol Instructor and an NRA Certified Chief Range Safety Officer. Orville is a firm believer that the primary thing that must be taught to anyone desiring to obtain a CCW Permit is Gun Safety! Orville’s CCW Permit Courses are informative and engaging and revolve around interactive demonstrations on firearm handling, shooting fundamentals, firearm storage and transportation and Federal and state codes, rules, and regulations that pertain to the concealed carry of firearms. Both Orville Wright and Sheila Wright are California Department of Justice Certified Fingerprint Rollers. In order to submit an Application for a Non-Resident, Multi-State CCW Permit, you have to submit completed ink fingerprint cards. In order to obtain a California CCW Permit, you have to have Live Scan fingerprints submitted to the DOJ, the FBI and the California Bureau of Firearms. Both Orville and Sheila are certified to perform these services and have all of the required equipment at their Training Center. Orville is a member of the Santa Ana Elks Lodge and a member of their RV Camping Club, the Nomads. Orville and his wife and partner, Sheila and their dog, Harlee Sue, enjoy traveling the USA in their 35 foot Class A Motorhome. They travel the West Coast conducting Non-Resident, Multi-State CCW Permit Instruction Courses at various Elks Clubs throughout California, Oregon and Washington State. Orville Wright is an Affiliate of the Orange County Association of REALTORS®. 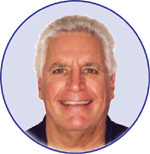 He has been licensed by the California Bureau of Real Estate since 1993.